Office of Personnel Management says hack involved about 22 million people total. 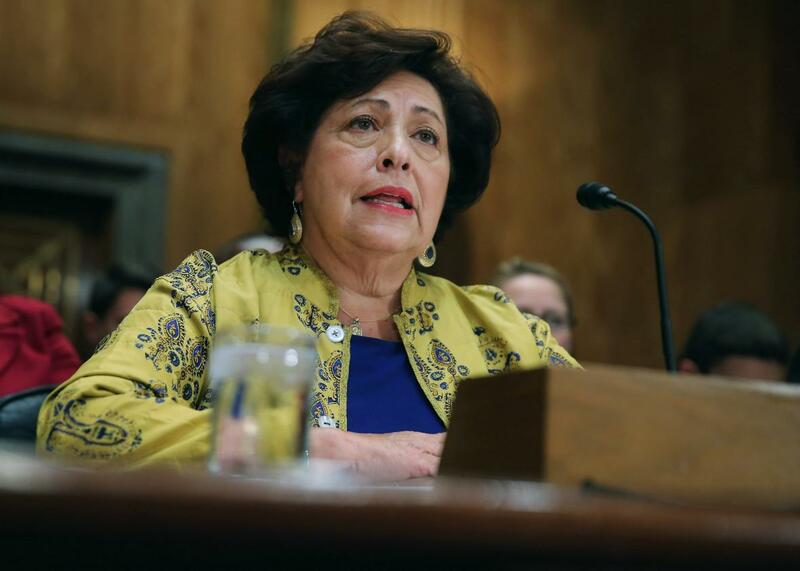 Office of Personnel Management Director Katherine Archuleta testifying before the Senate Homeland Security and Governmental Affairs Committee about the OPM hack on June 25. You probably know at least one person who worked for the federal government at some point, or maybe you do yourself. On Thursday the Office of Personnel Management announced that all of these people have a big problem: A breach compromised 21.5 million social security numbers in addition to those already exposed in an earlier hack. OPM and its interagency partners concluded with a high degree of confidence that personnel data for 4.2 million individuals had been stolen. This number has not changed since it was announced by OPM in early June. … The team has now concluded with high confidence that sensitive information, including the Social Security Numbers (SSNs) of 21.5 million individuals, was [also] stolen from the background investigation databases. The second hack includes 19.7 million people who themselves got background checked, plus 1.8 million “non-applicants” like spouses and family members. The National Journal reports that it was discovered in May, but had occurred a year before in May 2014. The agency says that about 1.1 million of the total 21.5 million records included fingerprints. OPM press secretary Sam Schumach said 3.6 million people overlapped between the two breaches, so the total number of individuals affected is 22.1 million. The records, especially from the background check database but also overall, contained extensive personal information in addition to SSNs. They also frequently contained information about family members, friends, former civilian colleagues, or other people relevant to a background check or security clearance process, even if those people’s social security numbers weren’t compromised. OPM is offering “at least” three years of free credit monitoring and other identity-theft safeguards to everyone whose SSN was compromised. People whose personal details were mentioned as references for background checks or clearances won’t get notified by the government and will have to rely on the employees and former employees themselves to notify them. “The notification package that will be sent to background investigation applicants will include detailed information that the applicant can provide to individuals he or she may have listed on a background investigation form,” OPM said. The agency is going to set up an online portal and call center and says that it is taking steps to ensure the safety of current and new employees. Unions representing federal employees have been demanding these measures for a month. OPM’s announcement does the very minimum to address the situation, but doesn’t show a powerful and nimble reaction to the problem. That’s not surprising, but it’s probably concerning for the one in 15 Americans who now have a potential security crisis on their hands. The Social Security Number’s Insecurity: We use our SSNs for everything. Data breaches are showing why that’s so terrible.